Three police officers were sent to the hospital early Friday morning after being exposed to fentanyl while conducting a routine check of a hotel parking lot in Needham, Massachusetts. 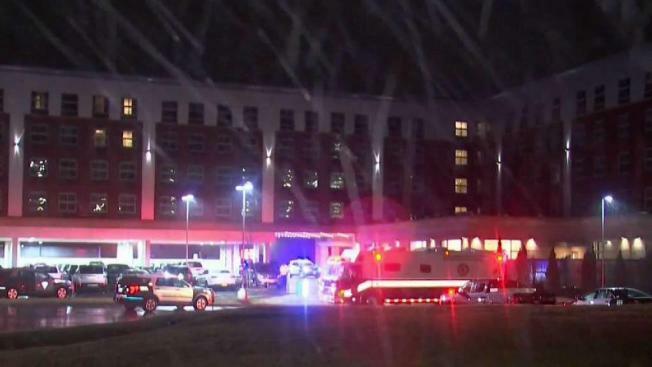 Three police officers were taken to local hospitals for fentanyl exposure overnight Friday following a hazmat response outside a Needham, Massachusetts hotel. Authorities were conducting a routine check of the Residence Inn hotel parking lot at about 1:30 a.m. when they encountered a suspicious car. Although the hotel was evacuated, a portion of the property's parking lot was blocked off while officials conducted an investigation. "With a substance like this that’s so dangerous and the effect it can have immediately on the officers, we contain it as best we can," Needham Police Chief John Schlittler said. Stephanie Solimine, 28, of Westwood, Massachusetts and Brandon Randall, 31, of Norwood, were arrested in connection to the incident, according to the Needham Police Department. The suspects were charged with possession of a class A drug. Three police officers were hospitalized due to a fentanyl exposure after a hazmat team responded outside a Needham, Massachusetts hotel. 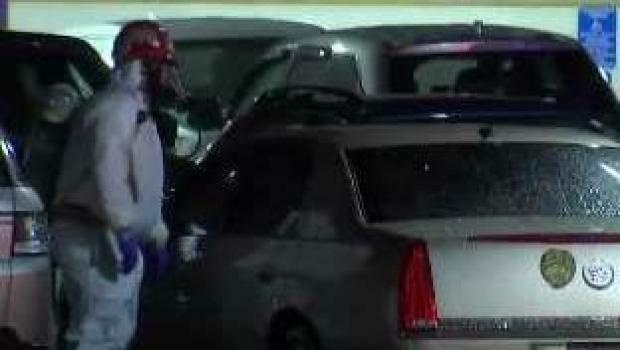 At least two hazmat officials could be seen inspecting a car at the scene and found fentanyl in the vehicle. A Needham Police Department cruiser at the scene was towed away at about 5:40 a.m. The officers have since been treated and released from the hospital.